Donna was born and raised in Charlotte, NC. Inspired by her Junior High Home Economics teacher, she majored in Home Economics at Winthrop University (then Winthrop College). She had extensive studies in textiles, foods, nutrition, and interior design. Hands-on experience with color, architecture, food preparation, and design led her to a career as a research home economist, a nutritional educator, and finally as a consultant to the Southern Living Magazine Cooking School for more than 20 years. With Southern Living, she traveled the south orchestrating cooking schools, sharing entertaining ideas, gardening tips, recipes, nutritional tips, tablescapes, and DIY ideas. She helped make the pages of the Southern Living magazine come alive by sharing her love of entertaining, decorating, and gracious living. Donna is a southerner at heart. Raised in a home where entertaining was a way of life, the gift of hospitality was instilled in her at an early age. High school and college jobs were in the fields of decorating, home decor, and high-end gifts, so an appreciation for beautiful things came natural to her. It is that love of hospitality, entertaining, and designing that now inspires Donna with Classic Tassels and More. She greatly enjoys working with her hands, developing the design for each tassel from start to finish, finding the perfect materials, and producing the final product. She can often be heard saying that each tassel design is a part of her and it gives her great joy when she helps a customer find that perfect one. 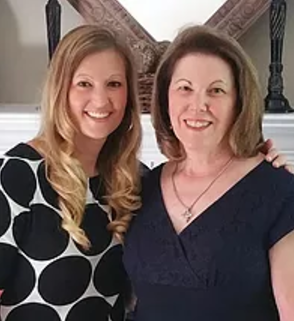 Married to her high school sweetheart, Donna enjoys spending time with her family and cheering for NC State when she is not creating new tassel designs. She loves that her work with Classic Tassels and More brings the enjoyment of beautiful accents to others and encourages personality and whimsy in every day. Donna's daughter, Natalie, is her right hand and sounding board assisting with the website and various social media outlets. She is a natural when it come to decorating the home. Together, they make a great team. Our decorative Tassels are designed to celebrate special moments in your life. They add flair for expressing your personal style or nostalgic touches to your home decor. We are proud to say our tassels are handmade in America.